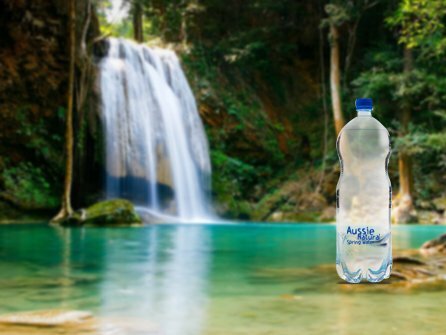 Aussie Natural > Blog > Should You Pick Up a Bottled Water or a Spring Water Bottle? Should You Pick Up a Bottled Water or a Spring Water Bottle? A spring water bottle and a bottle of water are the same thing, right? Wrong! The marketing for bottled water can be a little ambiguous, but there is a difference between spring and bottled water. So, before you buy your next bottle, you should be aware of some vital information. Unfortunately, the regulations around bottled water can be ambiguous and confusing for consumers. While some reputable companies produce purified water, many companies essentially bottle tap water. If a brand does advertise that they are selling purified water, it means that the water should be 99.9% pure. While this sounds great, it means that all of the minerals have been removed. Although you may be aware that too much calcium, magnesium and other minerals can be problematic in tap water, in small quantities, these minerals are actually beneficial to your health. Additionally, natural minerals can add flavour to the water. If the water has been boiled to be purified, it can taste dull and flat. Dodgy companies bottle the water supplied to their facility. This means that you are paying up to three dollars a litre for the same thing you get from your tap at home. You are paying over the odds for the privilege of the water being offered to you in attractive packaging. It is important to note not all spring water companies are the same, and the quality can vary considerably between one spring water bottle brand and another. Reputable companies offer natural spring water that has been sourced from a reliable and pure underground spring. The spring should be protected from human contamination including nitrates and unwanted chemicals such as chlorine. Of course, there are disreputable companies around, who offer “spring” water that is sourced from questionable aquifers that are constantly in flux and provide differing degrees of quality depending on the time of year and current weather conditions. The last thing you would want to drink is water that was sourced from a polluted surface stream. However, reputable companies are always willing to let their customers know exactly where and how the water was sourced. 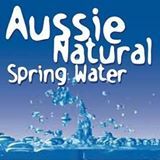 For example, Aussie Natural spring water is sourced from the natural springs within the Darling ranges, and it is filtered and bottled right here in Perth. This ensures that it is not only safe to drink but contains naturally filtered minerals to create a delicious and refreshing water that just cannot be compared to any old bottled water. The difference between bottled water and good quality spring water is in the taste; you only have to open up a bottle to see for yourself. If you would like to know more about our delicious spring water, bottle supplies or our product line, contact us. We offer a number of options for a spring water system for home or business use. Our team are here to answer any of your queries and advise you on the system best suited to your specific needs.